TechLuck - Green Energy Forum - Big Huge DIY Solar Tracker Holds 20 x 220W panels! 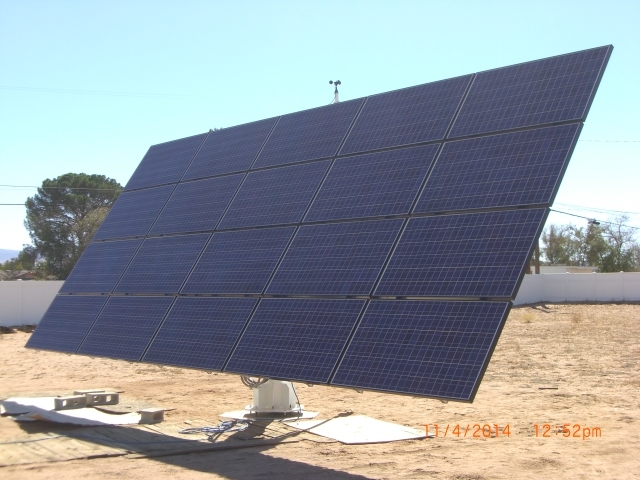 TechLuck - Green Energy Forum › Green Energy › Green Energy Talk › Big Huge DIY Solar Tracker Holds 20 x 220W panels! 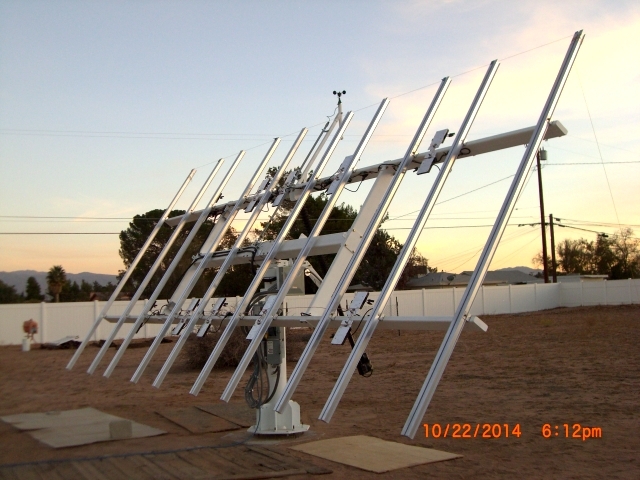 Big Huge DIY Solar Tracker Holds 20 x 220W panels! A friend in the California desert sent me pictures of his huge DIY tracker he made in his back yard. He said I could post the pictures and also sent me a PDF file with detailed specs. See attached.